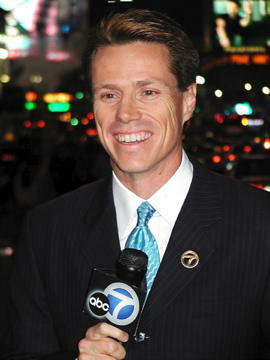 Curt Sandoval is a 7 Time Emmy Award winning journalist – who joined the ABC 7 Eyewitness news team in June of 1999. 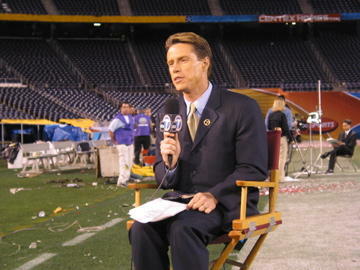 In 2010 Curt will be celebrating his 23rd year as an “on-air” broadcaster. He’s motivated to tell stories that change the way people think or motivate others. Originally from Denver, Curt is a 1986 graduate of Metropolitan State College in the inner city of Denver. He said he went to college to become a Sports Writer – but fell in love with video tape editing. In 1987 we was a full time assistant with the Denver Broncos football Club – John Elway’s 3rd NFL Season. Today - Curt is married to National Sports Broadcaster Jeanne Zelasko They have two children, Trevor & Isabela. Curt is an avid runner that’s finished Seven Marathons and he’s a two-time Ironman finisher. In his broadcast career Curt’s covered NBA Finals, Super Bowls, World Series, BCS Bowl Games, Stanley Cup Finals – but says telling “people stories” is as rewarding as covering any major sporting event.